During the day, we had an incredible number of conversations with many entrepreneurs that were about to start their journey as innovators; we were happy to acknowledge that the startup scene in London is strong and diverse as ever. So, at the end of the event, we left with 3 valuable lessons that no one should neglect. Chatbots have dominated the B2B and B2C market in 2018, representing a must-have for enterprises, presenting themselves as a disruptive force that will change the way people do business. 2018 has been a year in which chatbots have become the must-have for every business that wants to compete in the market. Many articles and posts have been written on all the advantages that this tech tool has and how business strategies can improve if it is implemented properly. A ‘choose your own adventure’ type of game, the Game of Growth was built by the Strillobyte team for Scarlett Abbott to help employees of one of their major clients appreciate the importance and complexity of business growth. At Strillobyte, we strongly believe that businesses, no matter the size, have a responsibility to improve the world we are living in. A ‘giving back’ business culture is fundamental to us to fulfil our mission. As the popularity increased, many misconceptions about chatbots rose and spread around the Internet. These “rumours” contributed to the scepticism towards this new technology and prevented to spread even further. Here, we are going to debunk 6 myths that are mining the potential benefits they can bring to as for business performances. Strillobyte is a Living Wage Startup. This is why it is so important to us. At Strillobyte, we strongly believe that businesses have to do their part to improve the world we are living in. To this matter, we built a chatbot as a pro-bono project for social enterprises (click here to learn more). However, we think that efforts have to be made to improve the company on the inside too. That’s why we decided to join the Living Wage Foundation Network. The rise of the “appreneur”. What is it and how to become one. Chatbots and the IT industry in general tend to be male dominated. According to a Pwc’s report, only 3% of females say a career in technology is their first choice, 78% of students can’t name a famous female working in technology and 5% of leadership positions in the technology sector are held by women. So, it is only right that we celebrate women who are breaking the mould by building some great bots! Countless studies have proven that collaboration and team-working can significantly improve a company’s performance. But have you ever thought about how tech and AI do you boost collaboration among your employees? Clients are demanding more and more authentic relationship with companies. From startups to large corporates, marketers are looking for tools to establish connections with their target audience to a personal level. To this end, chatbots might seem like an odd choice, but they can turn into a powerful resource for your business strategy. Here are 4 ways in which this artificial intelligence technology can help your company stays ahead of the competition. 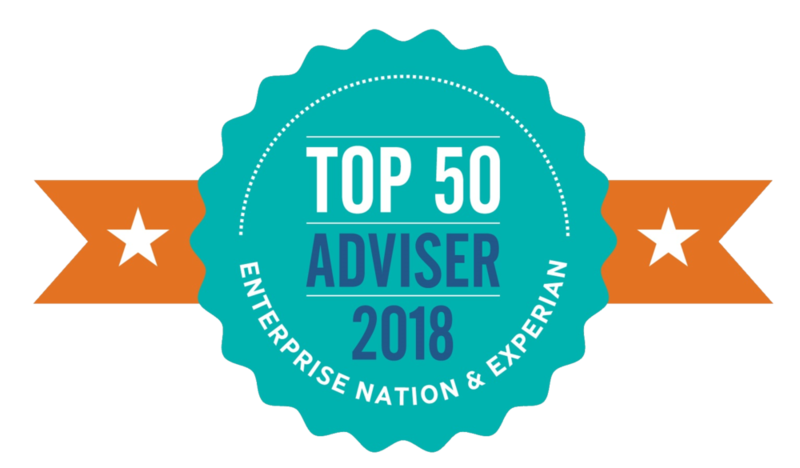 A few months ago I had the honour of being nominated one of the Top 50 Business Advisers 2018 by Enterprise Nation. It has been an exciting and at times hard journey since starting Strillobyte, and it was a huge privilege to eventually be included in such a great list of professionals.